Here comes the ad of GUCCI’s latest capsule collection – a group of relaxed young people wearing Three Little Pigs-heavy apparels and enjoying luxurious New York lives in the company of their pet pigs. This picture, taken in a chic apartment near Central Park, is promoting the brand’s global collection designed for the 2019 Lunar New Year starting on February 5th. Guess what is the zodiac animal for 2019? Lunar New Year, also known as Chinese New Year or Spring Festival, is the most celebrated cultural holiday among 2 billion East Asians worldwide. The holiday is a two-week festival filled with reunions among family and friends, auspicious wishes and, very importantly, lavish shopping and traveling. It has long been a tradition for brands in Asia to celebrate this festival. But now, Lunar New Year is evolving and going global, thanks to the significant spending power of Asia’s market and Asian Americans, as well as their growing influence in global consumer trends. Realizing the enormous business opportunity, brands are making devoted efforts for this season to delight, not just Asians, but trendsetters around the world who are hungry for cultural experiences. This sub-context has set the tone for brands’ Lunar New Year products and campaigns – modern and trendy yet still revolving around traditional rituals to fit the festive spirit and need. Here are the six rituals that have commanded brands’ celebrations of the season. Lunar New Year marks a time of change and new beginnings (what a perfect excuse for shopping!). Wearing brand new things on New Year’s Day symbolizes forgetting misfortunes and welcoming good luck. This explains why luxury fashion and accessories brands are among the most vigorous players of the season. Different tiers of luxury brands are aggressively engaging their target groups with exclusive designs. While GUCCI plays chic vintage in its Year of Pig collection, Louis Vuitton enchants fans with cute and chubby piggy accessories. 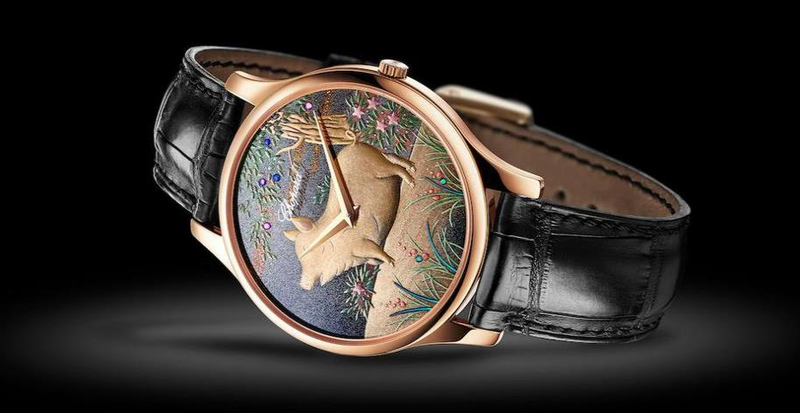 For the rich, there is Chopard L.U.C XP Urushi Year of the Pig watch in 18-karat rose gold and in a limited edition of 88 pieces. New Year, New Look. To be precise, a radiant and glowing look. Beauty is another industry that is big on this season. Skincare and cosmetic brands and beauty retailers are gearing up to send out their most beautiful New Year’s wishes. 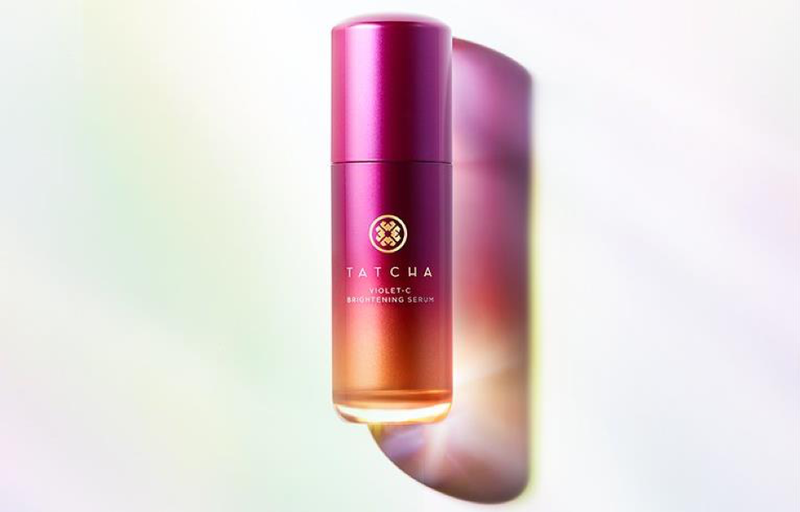 GIVENCHY’s beauty line is promoting these elegant limited editions on the home page of its official website in the U.S.
TATCHA, a San Francisco based high-end beauty brand, has launched a new brightening serum priced at $88. No. 8 is regarded as the luckiest number in Chinese culture with its pronunciation similar to the word ‘fortune’, and is frequently used in Lunar New Year greetings and celebrations. Sephora in Canada has rolled out a celebratory promotion with a curated collection – brands’ Lunar New Year limited editions and products with a touch of lucky red in their packaging. Just like Thanksgiving, Lunar New Year is the time for family and friends to gather over dinners, especially the feast on the Lunar New Year’s Eve which is the ultimate embodiment of reunion. These celebratory gatherings are certain to have an abundance of delicacies and good wine. Food and beverage brands are the early birds in celebrating this cultural festival and have been passionately launching special merchandises in both local and travel retail channels. Whether it is for self-consumption or gifting, premium liquor has always been a darling choice for wealthy and sophisticated consumers. 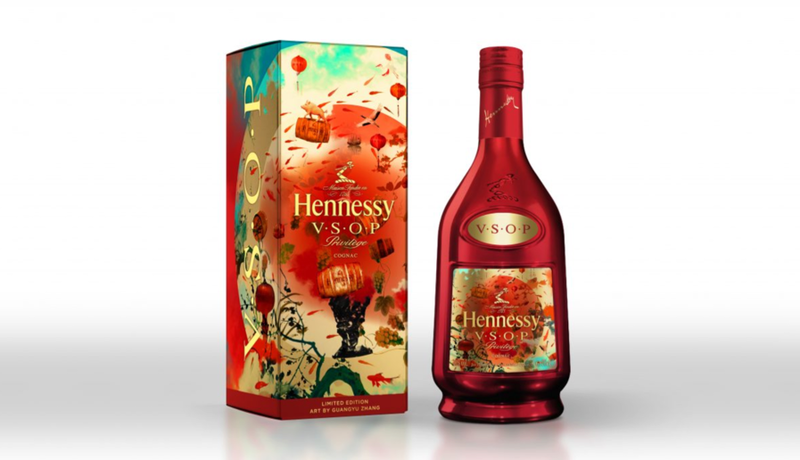 This year, Hennessy has continued its collaboration with acclaimed Chinese artists for its limited edition. The design is filled with auspicious Chinese cultural symbols that together present a “dream of past and present, heaven and earth — the natural and beautiful cycle of life”, according to a statement by Hennessy. There are treats for the sweet tooth too. Godiva has been launching zodiac-shaped chocolates for more than a decade and what’s refreshing to see is that Sugarfina, a trendy candy brand that is often labeled as the Tiffany of candies, is celebrating the Year of the Pig in the U.S. in the cutest way with strawberry flavor bite-sized gummy pigs! Taking note the soaring popularity of Asian food and Asian chefs in the U.S., food and lifestyle retailers, such as Williams Sonoma, are creating special collections to help their consumers design menus and select themed décor for Lunar New Year parties. Gift giving, especially to children and seniors, is an essential Lunar New Year tradition to show one’s love and respect to family and friends. LEGO’s Year of the Pig sets, family reunion dinner and dragon dance with figures in pig suits, have quickly become one of the most desired toy gifts for the season, especially for today’s Asian American parents who endeavor to foster their children’s cultural confidence. Compared to physical gifts, another form of Lunar New Year gifting is even more rooted – money. Cash are packed inside a red envelope and given out as a wish for prosperity. 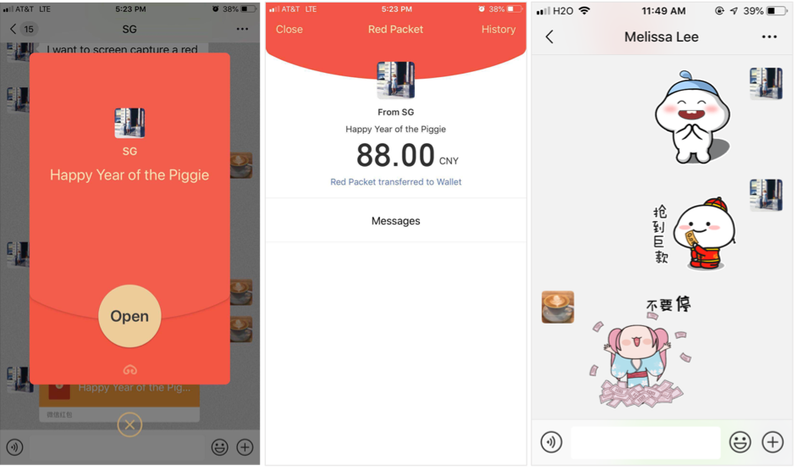 Now, with the world adopting digital payment and China marching into cashless economy, what is more common (and actually more fun) to do is customizing and exchanging red envelops trough Apps at Smartphones – a staggering 688 million people worldwide have used WeChat Red Envelope during 2018 Lunar New Year! If you don’t know what is WeChat, here is a concise intro of this super app. Do you know that Lunar New Year is actually the world’s largest annual human migration? With close to 400 million people traveling to home and 7 million traveling around the world for vacations, Lunar New Year is a golden week for global tourism. America is ranked one of the top vacation destinations, and Chinese tourists on average spend $7,000 per person during their stay in the U.S., according to U.S. Commerce Department. More and more retail and hospitality brands are hosting themed celebrations to welcome both local shoppers and Asian tourists who are in joyful buying mood. As the largest shopping mall in the west coast, South Coast Plaza in Costa Mesa, for instance, has put up store decorations, cultural performances and in-store promotions to attract the crowd. 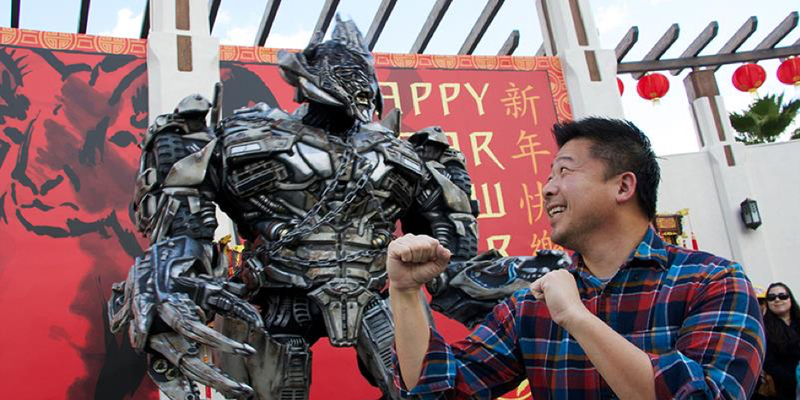 In Universal Studios Hollywood, one will be greeted by Minions in traditional Chinese attire and a Mandarin-speaking Megatron, and can learn Kung Fu with the Dragon Warriors in an interactive show. In Las Vegas, a 20-foot high jade coin is displayed at Bellagio Conservatory to wish people good luck. The joy of Lunar New Year is essentially for everyone! 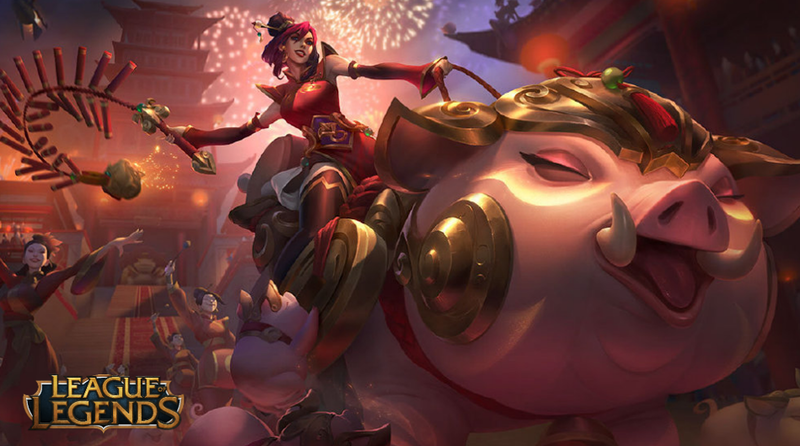 For E-sports gamers, League of Legends is arming the pig-riding warriors with a set of electrifying Lunar New Year skins! 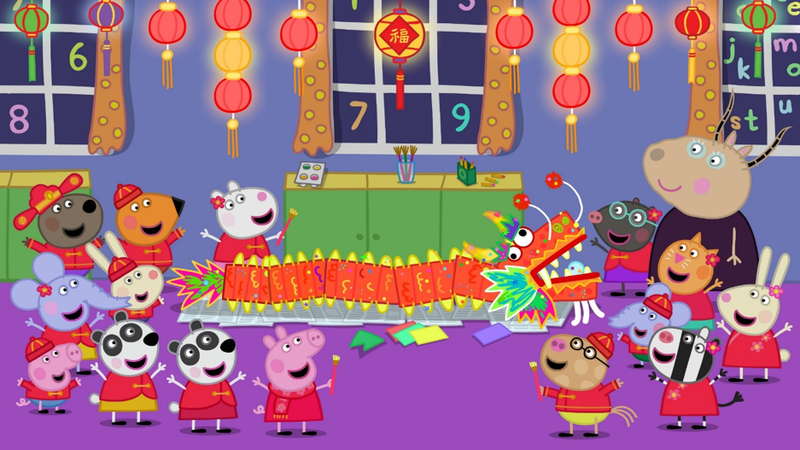 For families with young kids, there is Peppa Celebrates Chinese New Year, a feature film co-developed by the producer of Peppa Pig, a famous British animation series, and Alibaba Pictures. For those who don’t know Peppa Pig – this pink piggy and her animal friends are like Avengers to preschoolers worldwide. For classic music lovers, New York Philharmonic’s annual Lunar New Year celebration comes with a fiery program! Savvy brands across numerous industries are capitalizing on Lunar New Year and engaging the aspiring global Asian consumers and beyond. The celebrations are indeed everywhere! In the U.S., with Asian Americans being the fastest-growing group and shaping mainstream culture, Lunar New Year is no doubt an auspiciously promising business opportunity brands should not miss out. A smart Lunar New Year campaign creates a good impression and entrance, but what helps brands sustain a strong relationship with Asian Americans and stand out from competitions are continuous and meaningful engagement. Curious to know how? Drop us a line. We wish you a Happy New Year, again! The nonintrusive name of “Tmall” probably hasn’t passed your way. Maybe an Asian friend dropped it in conversation while chatting about Christmas shopping and it struck you as “new”. But the decade old online retailer with $550 billion a year in sales, SHOULD be a name you know and know well. Putting that in perspective, Tmall beats out the entire US economy’s online sales. If you haven’t heard of Tmall, you’ve probably heard of Alibaba, the mega-retailer/e-commerce-all-in-one company. (Think China’s – correction, the world’s – Amazon). Tmall, formally known as Taobao Mall, falls under the Alibaba Family. Tmall comes in as the second largest e-commerce site in the world. 500 million users shop on a daily basis in China. Tmall offers a standard array of services that are customer facing such as live-chat with sellers and easy Alipay integration. Business facing, Tmall offers less autonomy than normal. Brands must partner with a certified Tmall representative, who then supervises the online shop. But in return they’re given access to hundreds of millions of shoppers. There are banner placements and prominent special sales events – like Single’s Day and Double Day – that can lead to incredible revenue increases. 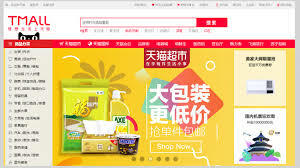 JD.com is one of Tmall’s biggest competitors. JD.com and Vipshop are some of Tmall’s biggest competitors. Both companies operate out of China and have similar offerings and platforms. Tmall gives shoppers easy, fast and reliable in-language access to millions of products. For retailers, Tmall can be difficult to navigate and sustain. Having the right experienced, bilingual, bicultural team to guide you through the hurdles is essential for success. Just like the rest of China’s e-commerce industry, Tmall will only grow. Alibaba projects to serve 2 billion consumers by 2036 which adds up to one in every four people on the planet. Don’t know T-Series, The YouTube Channel That’ll Become the Most Subscribed in the World Any Minute Now? We’ve got you covered! Let’s face it. We’re in the business of marketing and there has been a no bigger disrupter in our game in the past decade or so than YouTube. From creating YouTube stars to being the OG birthplace of influencers, it’s the streaming service crucial enough that when a big change happens, we pay attention. 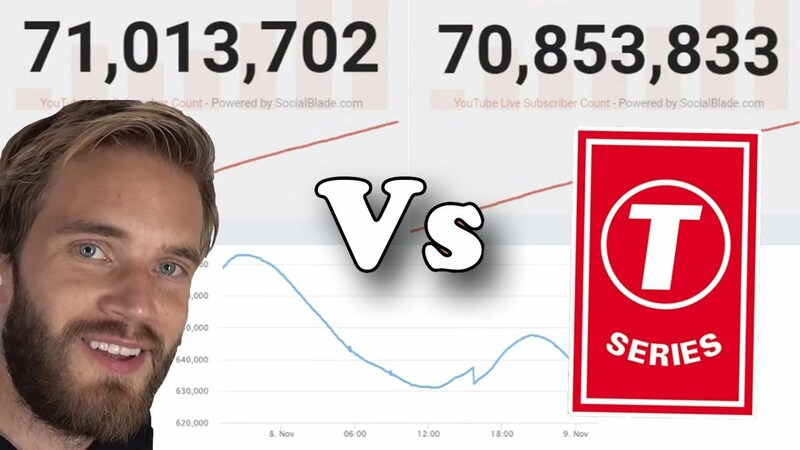 And right now, the biggest conversation about YouTube is the subscriber race to the top between two highly popular YouTube channels – PewDiePie and T-Series. Now, you might be familiar with PewDiePie, YouTube’s most subscribed channel since 2013, run by Swedish YouTuber Felix Kjellberg who is known for his video game commentary and comedy vlogs. But if you are left wondering what exactly is a T-Series, then you’re not alone. To most non-South Asians T-Series is a jumble of letters that probably make no sense. But to millions of us around the world, it’s often our connection to the cities, towns, and villages that we leave to move elsewhere. Technically, it’s the YouTube channel for one of India’s largest music and film production company that has been around since the ’80s and ironically enough has a Bollywood-style origin story of its own. ‘Cassette King’ Gulshan Kumar, who built his business as a juice seller started this company in 1983 selling pirated cassettes of mainly Hindi film music. His business grew so big and so quickly that by 1990 he was a music producer on his own and releasing music for one of the biggest Bollywood hits of the decade. Aashiqui, which has already seen two remakes and remains one of the romantic soundtracks to come out of Bollywood sold 20 million units back in the day. Think of T-series as one of Hollywood’s big six studios but from India. 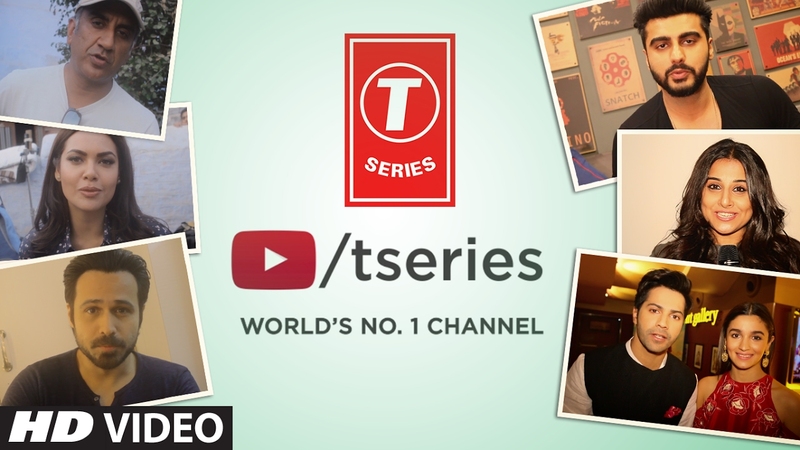 T-series is such an integral part of South Asia’s and specifically India’s cultural landscape that anyone who grew up since then can spot its instantly recognizable white T in a circle on a red background logo from a mile. Over time, T-Series has moved from music producing into film production releasing some of the biggest grossers in the past few years. Moreover, its expanded into many other Indian languages like Tamil, Telegu, and Malayalam and also doles out fitness and children’s content. While YouTube has been popular in India since the beginning, low Internet penetration so far has stopped it from becoming the force it is in the US or elsewhere. Even T-Series started a YouTube channel only in 2011 realizing that South Asians across the world were going online to watch songs from their favorite current and old movies. But just in a few years, it’s already rivaling PewDiePie’s extremely popular and much older YouTube channel to become the most subscribed in the world. – It’s already the YouTube channel with most views in the world. To anyone who understands the power of Bollywood, this wouldn’t come as a surprise. Unlike what most US media and YouTubers stunned by its rise are pointing out, T-Series is more than a channel with ‘Bollywood music videos’. In more ways than one, it is Bollywood. It is among the first Bollywood production companies that organized and uploaded its entire library of content on YouTube. For people, both living in India and outside, who went online to look for their favorite songs and found grainy, low-quality uploads with jerky sound quality, T-Series’ high-quality uploads were a blessing. Not to mention that as slickly produced, multistarrer Bollywood movies started making millions in India and across the world, the songs that featured in those movies gained the same traction. To compare, PewDiePie’s most viewed video has 83 million views, while T-Series’ most viewed video has close to 565 million views. According to Mashable, T-Series has 94 videos that surpass PewDiePie’s most watched video when it comes to views. Sure, it’s easier for a Bollywood giant like T-Series to surpass PewDiePie, who is ultimately an individual YouTuber, in terms of both content and number of uploads. Part of this rise is also attributed to the recent dirt-cheap mobile Internet arriving on Indian phones. 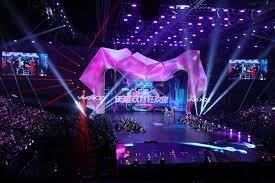 But it also shows a growing trend of interest in Indian content across the world. PewDiePie and his cohort of fans and supporters have launched an intense campaign — peppered with predictably racist attacks and showy gimmicks – to keep him at the number one spot. But with T-Series gaining 145,000 more subscribers per day, it might become the number one subscribed channel (and the first non-English channel to do so) in the world any minute now — we’ll keep our eye on the various live streams tracking the numbers and keep you updated. South Asian content is already more visible in our pop culture than even a few years ago. With T-Series, that might push our optics even further. As marketers interested in a South Asian consumer, there has been no better time to reach out to them than the present. PS. Here is an absolute fire of a diss track released by Indian-origin YouTuber JusReign in response to the racist backlash against T-Series, adding even more heat to this already spicy ‘war’ taking over the Internet. Enjoy! 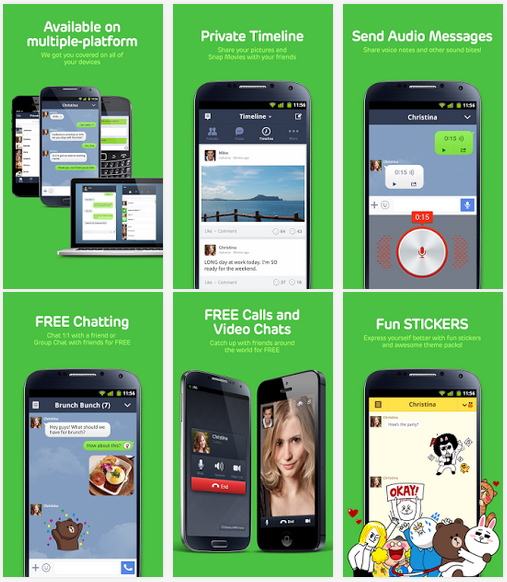 LINE is a free messaging and voice call app that originated in Japan in 2011. It was originally designed by NHN Japan to facilitate employee communication after the Tōhoku earthquake. It went public a few months later. LINE quickly grew to 100 million users in its first 18 months. Today, LINE has over 700 million users worldwide. It is the most popular messaging service in Japan with an incredibly strong presence in Taiwan, Thailand, Turkmenistan and Indonesia. Runner ups are India and Spain. LINE’s demographic runs young – from Gen Z to early Millennial. It services iOS, Android, Blackberry, Nokia, Windows Phone and PC (Windows and Mac) users. LINE started as a basic messaging app out of necessity but has grown into a multi-function app. 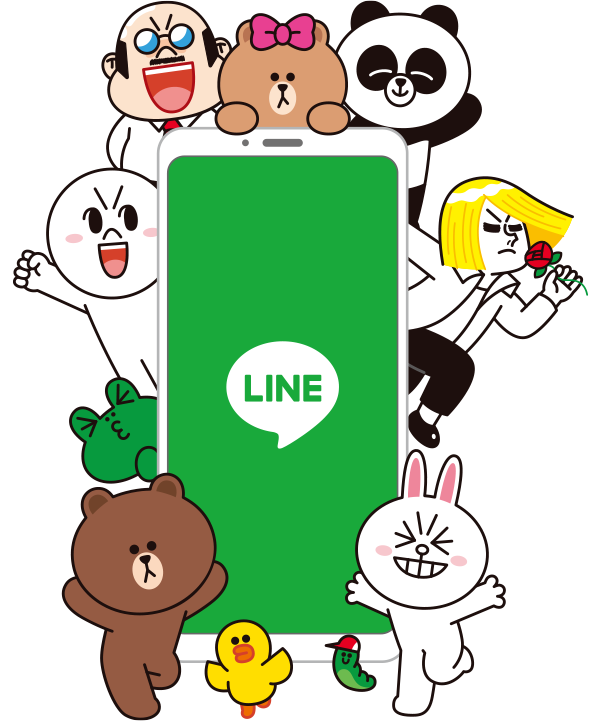 Free and easy to use, LINE is popular for one-on-one and group messaging. Texts, photos, videos, and music are all shareable. Groups can be intimate amongst friends or up to 500 for more interest/community based topics. Timeline and homepage features, reminiscent of oldie MySpace, are customizable with stickers and themes. Stickers are a big attraction on LINE. A popular replacement for Emojis, stickers can be purchased or downloaded for free. Their popularity is tantamount to LINE’s own success. 1 Billion stickers are sent on a daily basis. You can even customize your own stickers and sell them. One creator in Taiwan made millions. LINE FRIENDS (LINE’s sticker characters) even have brick and mortar shops, including one in Times Square, NYC, selling all things related to the characters. And it doesn’t stop there – there are video games, cafes and a character-themed hotel in Seoul. LINE GAME is an additional install where users can play (both multi-player or solo) a range of games. By 2013, LINE GAMEs have been downloaded 200 million times. LINE PAY is an in-app mobile payment system. Users can exchange money with each other. It can also be used for in-store purchases at participating retailers. There are micro-functions per territories as well, including a taxi service in Japan, a food delivery service in Bangkok, and a video service in Taiwan. LINE Lite launched in 2015, offering users all the messaging functions but with the frills of themes and timeline. Official Accounts are LINE’s influencer and business accounts. LINE users can follow these accounts for news, updates, promotions and more. Companies can create LINE stickers based on their products, mascots, etc., and distribute them to LINE users. These stickers are used by LINE users to express feelings like “thanks” and “sorry,” and can also be used to promote your company’s products or services. LINE Gift allows users to send electronic gifts to other users. This is a great business opportunity to share coupons, promotions, and gift cards. 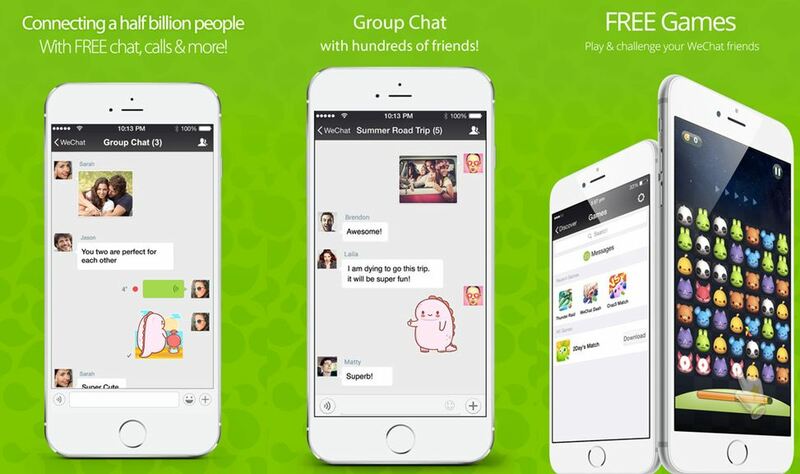 LINE’S biggest competitor is, of course, WeChat – Asia’s behemoth all-in-one app. WhatsApp is India’s choice of messaging service, so LINE has found only 2nd place in South Asia. In the US, other messaging services like Facebook and WhatsApp and social apps like Twitter offer up a competitive market. But LINE fans are dedicated and passionate about the app with high active rates after download. Click Here for more on WeChat. LINE has plenty to interact with. It’s fun nature is attractive to young users and it’s constant refreshment of content keeps them coming back. LINE can only be used on one mobile-device and one personal computer at a time. In other words, if you have a multitude of devices you can only install on two. LINE is always doing something new. Its latest smart technology add is a function to that allows users to capture their facial features and embed them onto their characters. In real-time, your character can conduct a conversation while matching your expressions. Developments like this are always popping up with LINE. LINE has plenty to offer businesses who want to target Asian Americans. To learn more, contact us! Why Asian Indian Children Excel At School? No matter which part of the world they live in, there is one thing that all Indian parents can agree on: their children’s education – in Science or Math if they can get their way. They not only start saving for it right from when their kids are born, most Indian parents also prepare their kids to attend the best colleges from a really young age. In fact, growing up as an Indian kid whose parents cared deeply about education, I can attest that many Indian parents often consider their children’s education the single greatest achievement of their lives. 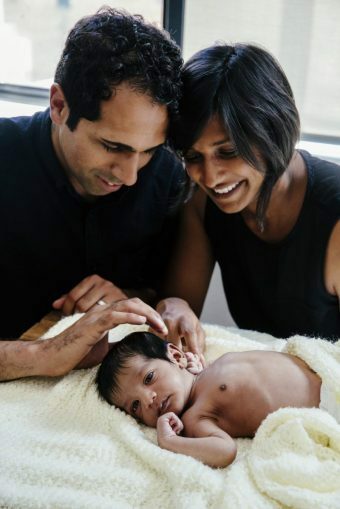 And it is almost exclusively thanks to their drive, that Asian Indian children excel in academics in whichever country they live, including the United States. But what exactly motivates Asian Indian parents to get their children the best possible education. The easy answer would be cultural behavior. But we did some real research and got you the facts. Asian Indians are among the fastest growing population in the US and since 2014, India and China have replaced Mexico as the top two immigrant origin nations. 58% and 42% of Asian Indians live in the top 10 and top 5 US markets respectively. The top market locations include NY, NJ, SF, LA, Dallas, Chicago. In 2016, 82% of the 85,000 new H1-B visas (for skilled young working professionals) were issued to Asian Indians and Chinese. India and China continue to be the top two countries for international students for US colleges (Source: WSJ, 2015). Indian parents are extremely ambitious for their children and over 51% rank career success as the most popular goal for them, even above a happy life, and carry that same attitude when they move to the US. Asian Indian parents are willing to go above and beyond to ensure the best possible education for their children. Most start saving for it from a young age, often from when their children turn five. They send their children to some classes – be it Sunday school or STEM classes — even before official SAT prep begins. Most believe higher education the only way to earn respect as immigrants in America and dropping out of college is never an option. Asian Indian community is highly competitive when it comes to education. Children’s high scores are a source of pride for the entire family and low scores a reason for shame. No Asian Indian parent wants their child to be ‘left behind’ the others and parents are constantly enrolling their children in activities that other kids are doing. After-school classes and scores are a frequent topic of discussion at most local events and community gatherings. 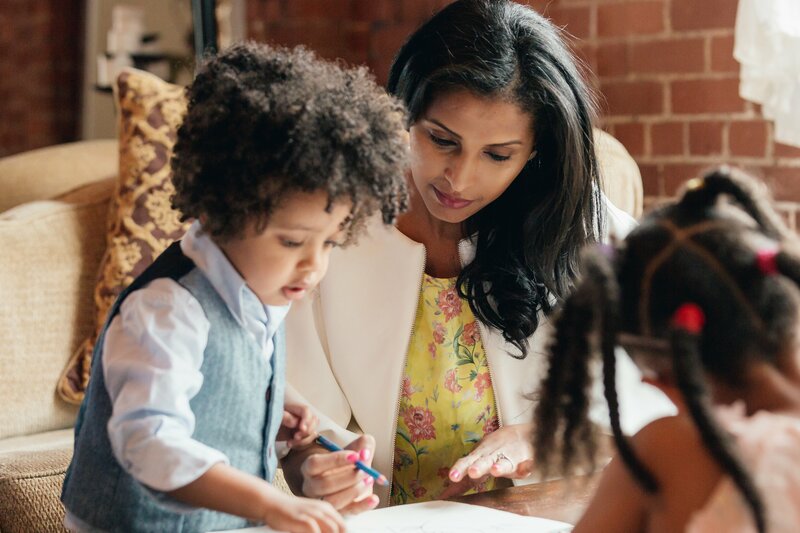 Asian Indian Parents are extremely involved in their children’s education, personally helping them with homework and overseeing their academic progress. They constantly communicate with teachers and also supplement the coursework by adding extra lessons and practice tests for their children, sometimes even with material above their current grades. American school system is considered less rigorous than India with lesser emphasis on STEM subjects. Asian Indian parents have equally high expectations from their children and expect nothing less than the highest scores. Their extensive focus on education, competitive, excellence-pursuing attitudes, and community-based information exchange makes them a unique consumer group, but this behavior is also visible throughout all communities of Asian Americans. Not just Asian Indian but Chinese American, Korean American, Filipino, Pakistani and Vietnamese American parents also show similar drive for their children’s education. Given that it’s little surprise that Asians Americans are shaping up to become one of the most formidable and fastest growing minorities in the US. You’re here to learn about WeChat. You may have heard of WeChat in passing – perhaps from an Asian friend? Or you were curious what that green logo and speech bubble was for? Or maybe the word has been thrown around at work. Whatever the reason you’re here, what you do have is a sneaking suspicious that if you don’t know what WeChat is in 2018, then you are WAY behind. The multi-purpose app has been around since 2011 and services over a billion users. Developed by Chinese company, Tencent, its original Chinese name was Weixin 微信, means “micro-messaging”. It took on the name “WeChat” in 2012 when it went global. WeChat is used all over the world but 90% of its users are in China. 3.5 million Chinese tourists visit the US every year, bringing their WeChats with them, and Asian Americans are also strong users. One of the most complex apps on the market, WeChat offers messaging, mobile-payments, GPS sharing, sharing content, and integrates with popular Social Media platforms like Facebook (in the US) and Tencent QQ (in China). It also has its own social feed called “Moments”. Both businesses and individuals can create accounts, gain followers and communicate with them en masse. WeChat has a robust QR scan function that is utilized by almost every business account on the app. In China, its “City Services” feature is used for booking appointments, paying utilities and other city-related topics. “Enterprise WeChat” is a work-level function that offers employers a way to group their employees, communicate, and other business-related micro-functions. Since you can link your WeChat with your bank account, mobile-payments through the app are incredibly popular. Money can trade hands amongst friends, for services, for goods, and for paying bills. Update: As of the New Year 2019, WeChat has added an “Instagram Story-like” video feature called Time Capsule to compete with Snap, Instagram, TikTok and other social apps. For many, it’s an all-in-one app. Note: not all features available in China are available in the US, thus taking a deeper dive, or tapping an agency’s expertise, are essential when expanding into WeChat. Taking advantage of its multitude of functions, companies have done everything – Lucky Red Envelope giveaways, QR code product placement, creating mini-apps within the app and more. Because of its business accounts, Enterprise functions and mobile-payments, companies can open micro-stores. Like other Social Platforms, marketers tap popular influencers (WeChat Official Accounts) to spread their messaging. For Mobile Payment, WeChat’s biggest competitor is Alipay, another China-lead app for mobile and online payments. Other competitors in different sectors are Skype, WhatsApp, and Line. In the US, WeChat top competitors are monoliths like Facebook and Paypal. It has struggled to break into the US market’s general populace. Functionality and popularity is the name of the game. Over a billion users? Unlimited ways to connect with your followers? And it’s free. Yes, please. Unlike other Social Platforms who can blast their followers all day long, WeChat has advertisement restrictions and only allow WeChat Official Account Users 2 advertisements per day. This hasn’t stopped businesses from cashing in though. With a solid strategy, this con can be turned into a pro. WeChat continues to launch new functions that attract more and more users and capital. There doesn’t seem to be any slowing. If you want to crack into the China market in China or the Asian American market here, a WeChat campaign is essential for success. On a fall weekday night in an artsy district of Long Island City, New York, a group of well-dressed young Asians walked into the sales room of GALERIE, a new luxury condominium located right across the street from MoMa PS1. Their tour of the building blueprint was guided by Ting Ko, an experienced bilingual Chinese American real estate broker. After the tour, the visitors and Ting friended each other on WeChat, a hugely popular Chinese social media app, to continue the sales conversation online. “We’ve got a lot of interests from Asian American buyers. This is a new generation of buyers that is investment-savvy yet values lifestyle and quality. Their confidence and sophistication are very impressive,” Ting summarized. This is true. We’ve seen numerous headlines about how Asian buyers snap up pricy homes in New York, Los Angeles and Atlanta. Asian Americans, on average, are indeed buying more expensive homes and paying a higher percentage of down payment than other customer groups in the U.S. Financially stable and investment savvy, Asian Americans are indeed an exciting customer group for luxury properties. What other industry should not miss this group? Financial management. This customer group has some strong and unique financial characteristics. Generally in the U.S. Baby Boomers and older generations hold the most wealth, but interestingly, Asian Americans’ wealth is more in the hands of the 20s-to-40s demographics. Close to 70% of Asian Americans are born in Asia where private wealth has seen an explosive increase in the past few decades. As a result, we’ve seen an influx of self-funded Asian international students, tourists and investors coming to the U.S., especially Chinese. Due to the One Child Policy, most Millennials and Gen Z Chinese American immigrants are the only heir to their families’ assets accumulated through generations. Just imagine a wealth pyramid, but flip it upside down. Perhaps it’s genetic? 86% of Asian Americans hold a savings account, compared to 76% of the general population, and their average balances are much higher ($63,800 vs. $40,100). So when financial hardships strike, Asians are more confident and prepared to handle it – over 60% believe they could maintain their current lifestyle for a year or more if their household lost all its regular monthly income, versus 27% of the general population. Asians on average save more than their general population counterparts. One particular saving purpose for Asian Americans is kids’ education. Even though college tuition fees are at historical high, close to half of Chinese American and 33% of Asian Indian parents still intend to contribute at least three quarters or full college expenses for their kids, compared to 27% of general population. And they act on it – majority of young parents have already started to contribute to college saving account before their kids turn 5. Chinese American families’ rank amongst the highest savings, way above general population ($29,219 vs. $19,124). Asian Americans don’t just over-index by general population by 1.3 times in real estate investment. They are also more inclined to own individual stocks, corporate and municipal bonds and various types of annuities. They are a research-oriented and well-informed customer group, keeping up with happenings in the financial market, both locally and abroad, and tend to use analyst reports when making investment decisions. At the same time, Asian Americans demonstrate a higher propensity to consume financial information from less traditional sources, such as social media, and rather place significant trust in family and friends for financial advice. Aside from gathering and digesting a great deal of financial information, Asian Americans also demand control on their own finances. Being intimately familiar with the companies or stocks they invest in helps boost their sense of security. Over-indexing in internet and smartphone ownership and usage, Asian Americans are changing how they bank growing more open to exploring and using digital tools for their financial needs such as mobile banking. Such behavior is also driven by Asia’s blossoming digital wealth management.. In addition to the prevalence of mobile payment such as WeChat Pay and Kakao Pay, the surge of digital investment services like Alibaba’s Yu’E Bao are shaping people’s views and expectations on financial management in Asia, which drive the digital transformation of some of the most established financial institutions. For instance, Citibank in Korea has reduced its physical branches to 44 from 133 in 2017, and plans to double the size of its wealth management business in Korea in the next few years. “The way people are measuring the accessibility of their bank is changing. It’s a completely different game now,” said Brendan Carney, Citibank Korea Inc.’s consumer banking head. Curious to know more about how to engage this customer group? Drop us a call. In the U.S., Apple had to convince retailers to update their payment system and adopt Apple Pay. Retailers didn’t like it. The case in Asia is much simpler – mobile payment platforms like Alipay, WeChat Pay or LINE Pay run primarily on software, not hardware. This simple distinction is the key to everything from accelerating the spread of payment transactions to unlocking deep customer interactions1. In-Store Payment: Imagine you walked into a McDonald’s in Shanghai. To buy a meal, consumers simply pull up a QR code from WeChat or Alipay that’s connected to their credit or debit card. Once the cashier scans the code, that’s it — no further action is needed. The transaction is instant. 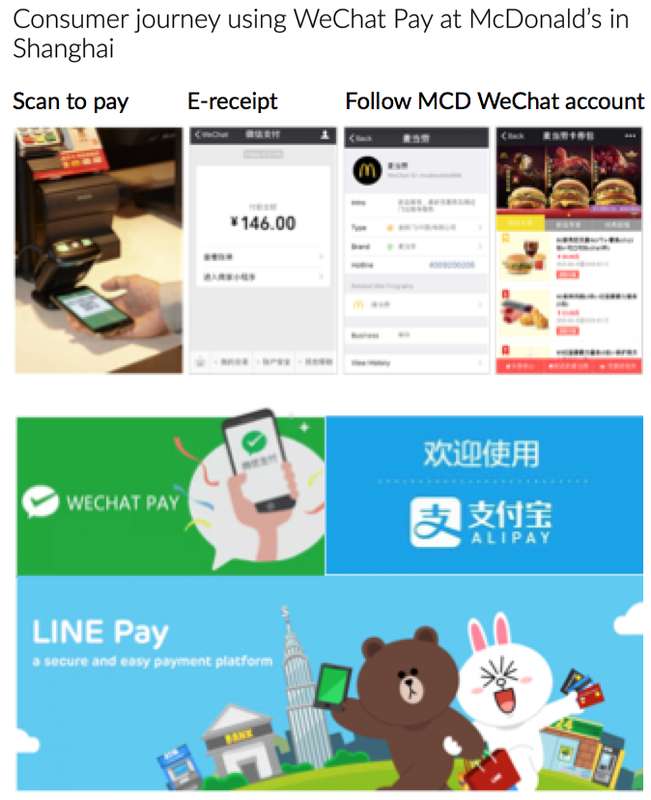 If you used WeChat, after the payment completes, you are offered a chance to follow McDonald’s official social account. Mobile payment in Asia has evolved from being a simple transaction tool to a way to increase sales, collect data and enhance customer engagement2. Can’t Be Convenience: Accustomed to the convenience of mobile payment, 80% of Chinese consumers still prefer to use mobile payment when they travel or live overseas15. That same behavior also applies to recent immigrants from South Korea and Japan. The mobile-first mindset has driven Asian Americans to use mobile shopping, payment platforms and mobile banking at a higher frequency than the general market3. Don’t stop here. We’ve broken down Asian Innovation and Disruption into more Key Industries: Automobile, Info & Communication Tech, E-Commerce, New Retail, Smart Home Tech, E-Sports and Entertainment, and beyond. Click here to download and read the entire report. From restaurant orders, to laundry pick-up, to live lobster–the proliferation and convenience of e-commerce in many Asian cities has made “leaving the apartment” a choice. If you have a craving and an internet connection, many services and consumer goods can be delivered to your door in an hour or less. 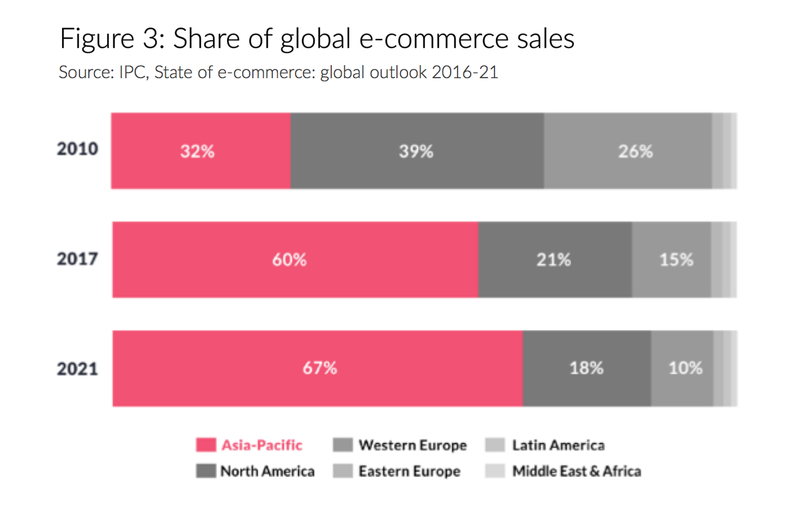 Asia is Growing FAST: In 2017, Asia accounted for close to 60% of global e-commerce sales. By 2020, Asia’s e-commerce market is predicted to be twice the size of Western Europe and North America combined1. E-commerce characteristics vary in different Asian countries, and are affected by the local infrastructure and consumer demand. Online Grocery Shopping: South Korea is the absolute world leader of online grocery shopping – e-commerce accounted for almost 20% of its total grocery sales, far ahead of any other country2. 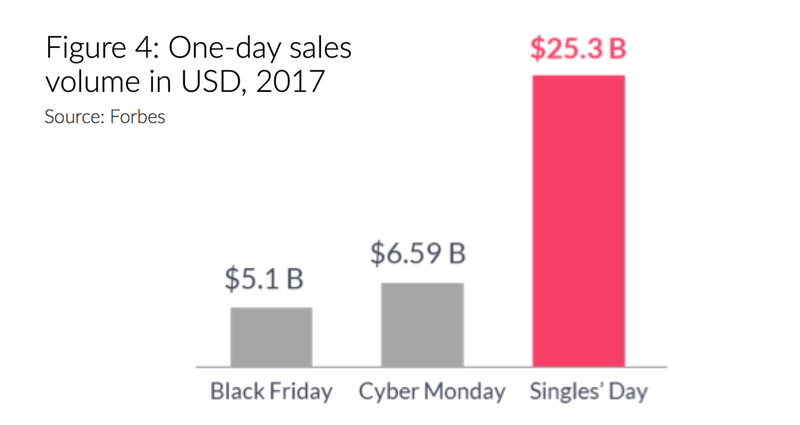 Retail Shopping: In China, 2017 Singles’ Day, an online shopping frenzy on November 11th, has generated sales bigger than Black Friday and Cyber Monday combined3. Though Singles’ Day started as an event in China, it is now making inroads in the U.S., as Chinese Americans embrace the shopping holiday. Mainstream retailers have started harnessing the opportunity by launching Singles’ Day promotions, and it is only a matter of time before Singles’ Day is a part of American shopping calendar. Don’t stop here. We’ve broken down Asian Innovation and Disruption into more Key Industries: Automobile, Info & Communication Tech, Mobile Payment, New Retail, Smart Home Tech, E-Sports and Entertainment, and beyond. Click here to download and read the entire report. This post is part of an ongoing series on Innovation and Disruption of technology and business in Asia. Visit the archives of previous posts here. Digital technology hasn’t just transformed the way people shop, but also the way people live. 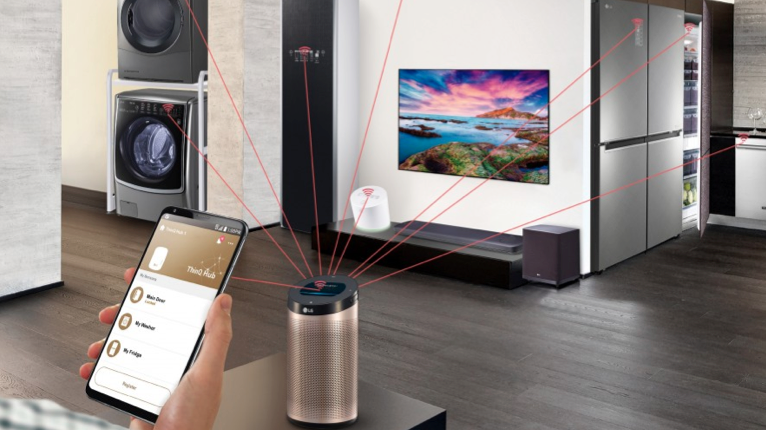 The global smart home market is expected to reach an estimated $107 billion by 2023.1 Asia is projected to see the highest growth because of increasing urbanization, rising standards of living, and government investment in the building of smart cities. Pre-Installed Smart Homes: In South Korea, most new residential buildings have smart home systems pre-installed. You won’t see light switches in these ultra-modern apartments, instead, there are touchscreens in every room. These integrated systems aren’t just for lights–they control temperature, digital locks, cameras, air purifiers, smart TVs, gas lines, energy reporting and even elevator requests. Automated Toilets: In fact, there’s an area, rather intimate, that has also been elevated to a whole different level by innovators in Asia. It’s the toilet. In Japan, the smart toilets installed in the hotels create interesting experiences for travelers. It is, according to Toto, the world’s largest toilet brand, “an element of Japanese culture that is difficult to explain in words”. In practical terms, that means a motion-sensing toilet seat that lifts automatically, a stream of warm water sprayed at one’s undercarriage, and a gentle, warm breeze to dry everything off. For the past 5 years, Japanese smart toilets have become a shopping phenomenon in Asia, now you can easily spot them at Asian American homes. Smart Home is not the only industry disrupted by Asian innovation. There are eight more! Download the link at https://www.admerasia.com to read the entire report.